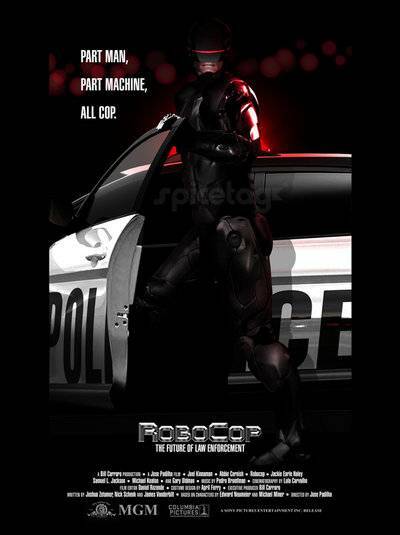 2014 saw a reboot of this classic movie, and Cinema Vehicles was up to the challenge of creating a Futuristic Police Car to became the new RoboCop Car. The original RoboCop is a fan favorite sci-fi movie from the 1980’s. The new film updated the story of RoboCop to fit our modern times, but the overall plot remained familiar. Set in 2028, the story is centered around Alex Murphy, a Detroit police detective who is maimed during a car bomb explosion sabotaged by a local crime boss. After his body is recovered from the wreck, weapons and robotics manufacturers OmniCorp designs a cybernetic interface to attach to Alex’s remaining body and transforms him into cyborg, nicknamed RoboCop. 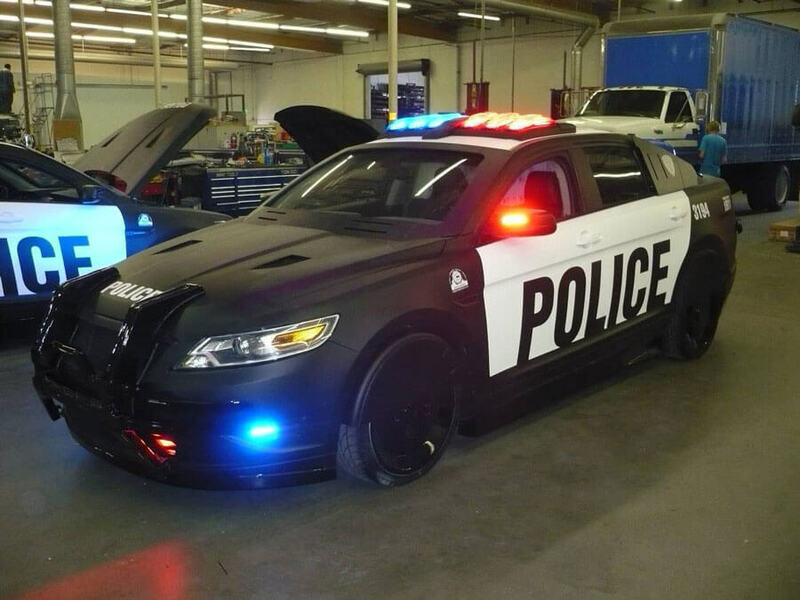 At Cinema Vehicles, our team was tasked with designing the updated version of the futuristic police car used by RoboCop throughout throughout the film. 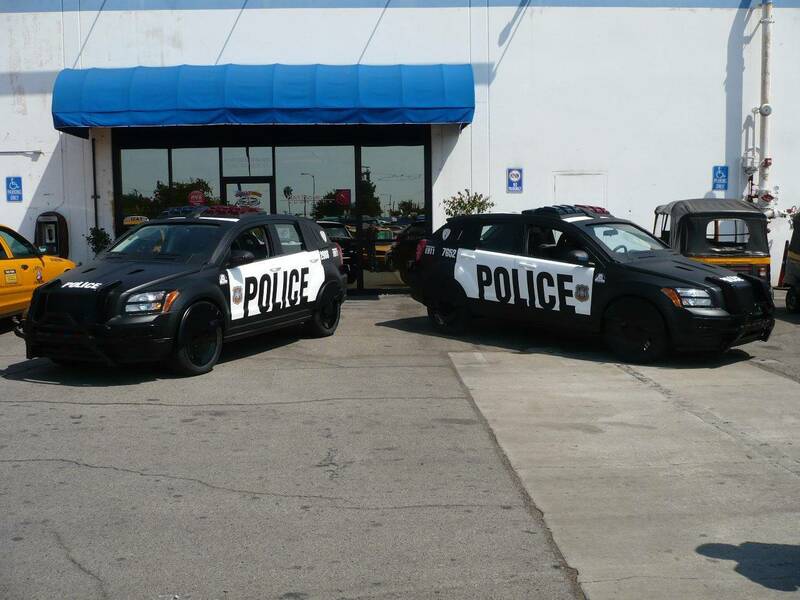 For this project, our goal was to build a futuristic, yet modern looking, police cruiser to fit with the RoboCop timeline of the near future of 2028. 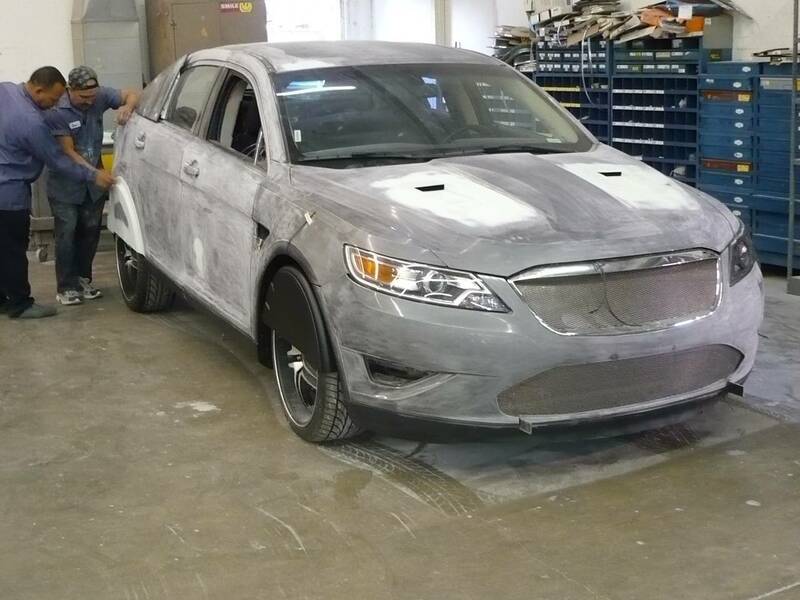 We recreated a traditional police cruiser sedan, added new body panels and a few hood to make the car appear sleeker and smoother. 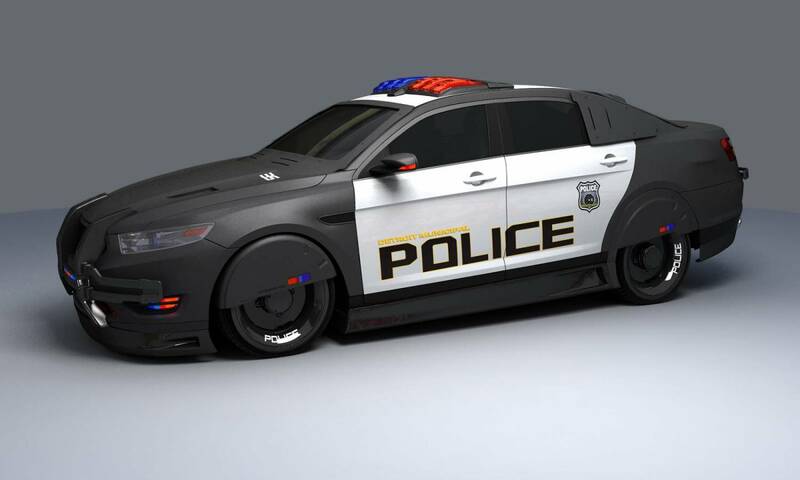 We added updated bull bars and new LED police lights to the vehicle to simulate modifications that might actually be made to police vehicles within the next decade. 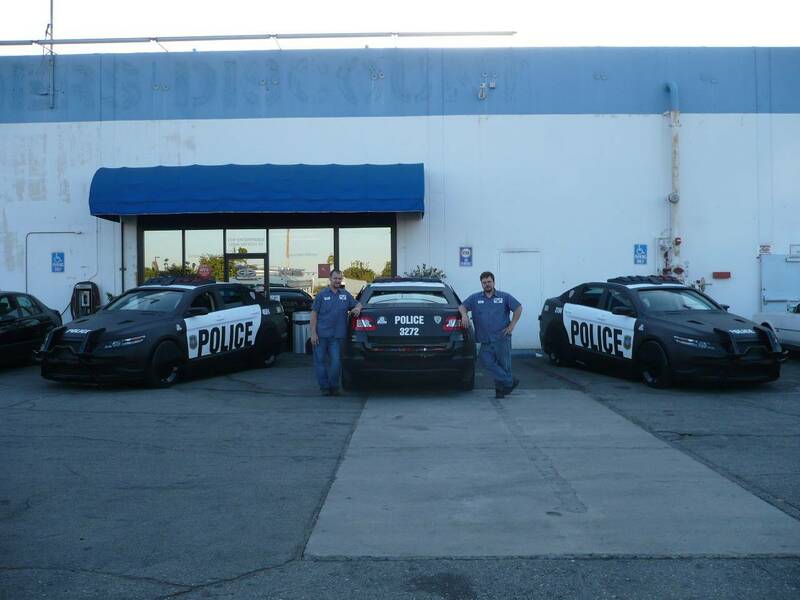 Finally, our RoboCop car required a custom body wrap to recreate a traditional police cruiser’s look and feel. During this build we had to make many changes to a traditional police vehicle in order to make it seem realistic to the film’s setting. Many of the cruiser’s body panels needed to be reformatted to fit the sleeker look for the future world of RoboCop. We also had to replace the hood, and front bumper, which required intensive time management while also minding the budget. 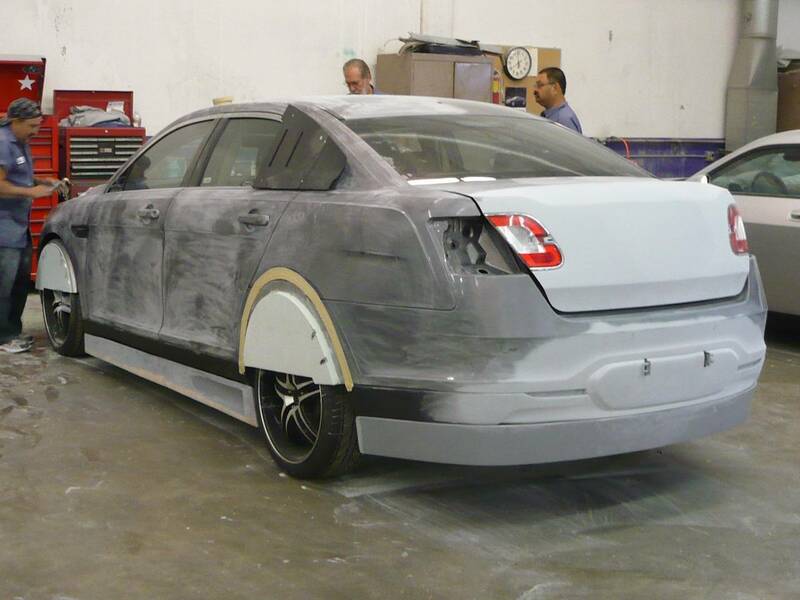 Finally, we carefully considered the the lights and wheel wells to correspond to the rest of the car’s design. It was well worth the extra work, as the large, ostensive lights on the car helped ensure that this police car stood out on screen. Where Does the RoboCop Car Appear in the Movie? 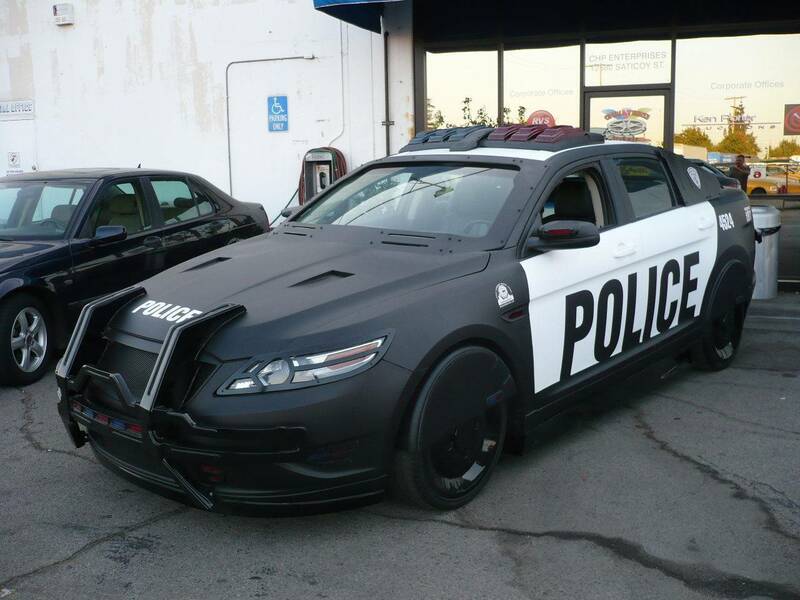 The RoboCop car appears in most of the film’s action scenes. After Alex turns into RoboCop at the beginning of the movie, he uses the police cruiser while OmniCorp has control over him. In many of the following scenes, RoboCop utilizes his car in order to chase down criminals in the streets of Detroit. The car appears most significantly in one scene where Alex’s cruiser is shot by a large machine gun while in pursuit of a criminal. The car’s smooth, yet rugged, design withstands the hail of bullets shot at it — not unlike Alex’s own cybernetic suit. 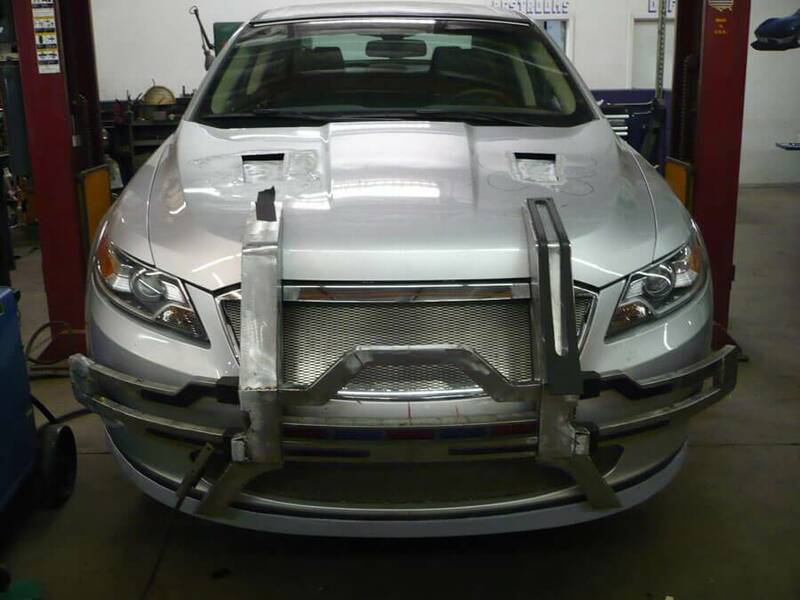 For fans of the original RoboCop movie, we attempted to recreate some of the magic and futuristic look in the 2014 film’s design of the RoboCop car. While the real engineering went into the design of RoboCop, our team felt like we should match RoboCop’s cyberpunk, futuristic look with our build of the RoboCop police cruiser. If your TV, film, or commercial production is looking to build a custom made vehicle, contact our custom build team at (818) 780-6272 or through our contact page.